The peace of mind we all feel driving a Toyota is due to the fact that Toyotas are incredibly well-engineered and well-built. Things fit together perfectly, sometimes to within a thousandth of a centimetre. Once you think about that, it's easy to see why getting Toyota Genuine Parts makes sense. Here are some reasons Toyota Genuine Parts are the right parts for any Toyota, including yours. They are the same parts your Toyota was designed and built with. Toyota engineers don't use words like 'kinda', or 'close enough', or 'almost as good'. They use words like 'precision' 'exactitude' and 'quality.' The same goes for all the parts that make up a Toyota. So when you use aftermarket parts, your car gets a little less 'exact' and a little more 'close enough'. And well, that just isn't how a Toyota vehicle was engineered in the first place. So if you want to get the most out of your Toyota, 'good enough' ain't good enough. If you think of all the thousands of parts for all the yearly models of all the different cars out there, you quickly get a sense of the millions of parts out there in the marketplace. Which is why getting Genuine Toyota Parts is so important. After-market parts weren't made specifically for your model and make of Toyota. Plus they're catalogued in an entirely different way. So the odds of you getting the exact right part for your exact year and model starts to go down dramatically. But with Toyota Genuine Parts, your Toyota Tech knows EXACTLY which part you need, and knows the EXACT part number. Oh, and also knows EXACTLY how to install it. The brakes on your Toyota are a complex system with several important components. Callipers, rotors, brake pads, brake shoes and brake drums all work together perfectly to provide you with the highest level of safety. When some of these parts wear from normal usage, it's imperative to make sure the parts you replace are machined to precisely the same specs as your original parts. With Toyota Genuine Parts, that's a guarantee. Your battery does more than just start your car. It also helps store and provide electricity to many operational and safety systems in your Toyota. Essentially, a healthy battery means a well-running vehicle. When it's time to change your battery, there's no substitute for Toyota premium batteries. They've been engineered and tested in gruelling conditions to the right specifications. So you get reliable performance when your Toyota needs it the most. A Toyota vehicle is comprised of over 11,000 different parts. So this article could be a very, very long read. But you get the idea by now. Bottom line, Toyota Genuine Parts are engineered to the precise specifications of your Toyota. Which gives you the peace of mind that your Toyota will still run like a Toyota. So whenever you need repairs or upkeep, Bring Your Toyota Home to Yorkdale Toyota for Genuine Parts. The results are in. If you're looking for a fuel-efficient SUV, look no further than the Automobile Journalists Association of Canada (AJAC) Canadian Green Utility Vehicle of the Year: the 2017 Toyota RAV4 Hybrid. More than 20 years after the original RAV4 defined a new vehicle segment, the Toyota SUV remains ahead of the game. Choose a hybrid as your next vehicle! There are 12 different Toyota and Lexus hybrid vehicles available to meet the versatile needs of Canadians. 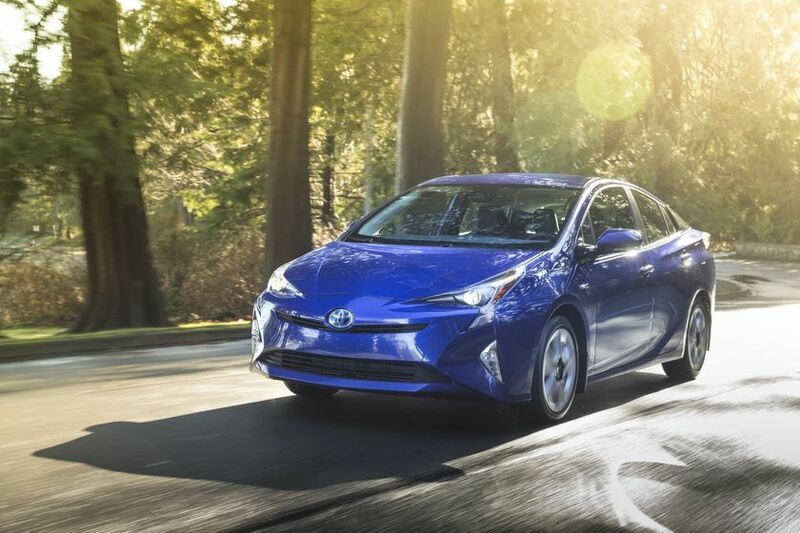 Just recently, Toyota received dual recognition from the Automotive Journalists Association Canada (AJAC) for two of its hybrid models - the Prius and the RAV4 hybrid- as the Canadian Green Car of the Year and the Canadian Green Utility Vehicle of the Year. Having already sold more than 10 million hybrids globally, Toyota aims to reduce greenhouse gas emissions by improving the fuel efficiency of its entire lineup. These simple tips should help you keep the environment in mind and save on gas: a winning formula.